Which is better for night riding: Helmet or bar mount, or both? 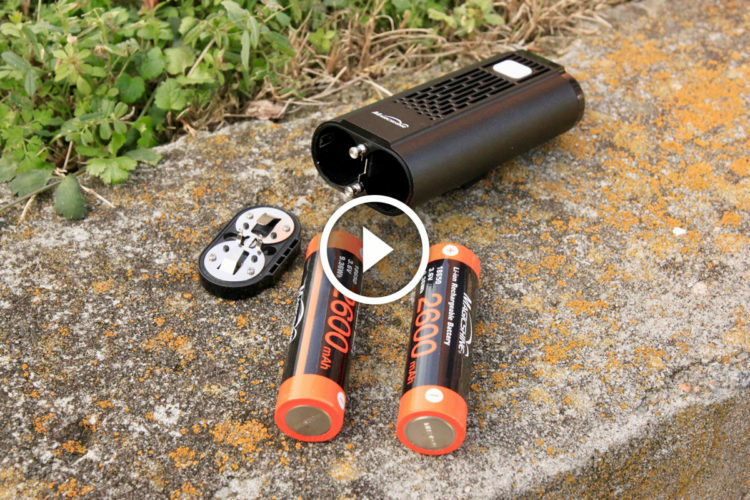 This sponsored article was written and/or published on behalf of our partner, Light & Motion. 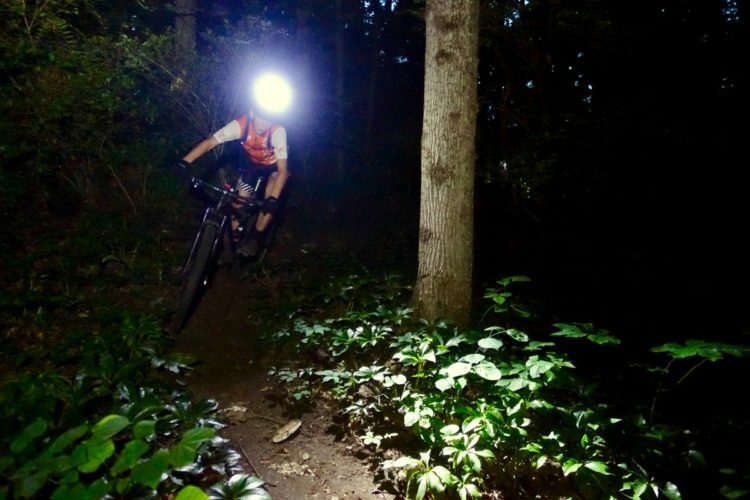 If you’ve ever been mountain biking at night with just one light, chances are someone suggested you place your light on your helmet instead of your bars. The thinking goes that a helmet light follows the eyes as opposed to a bar light which follows the front wheel. 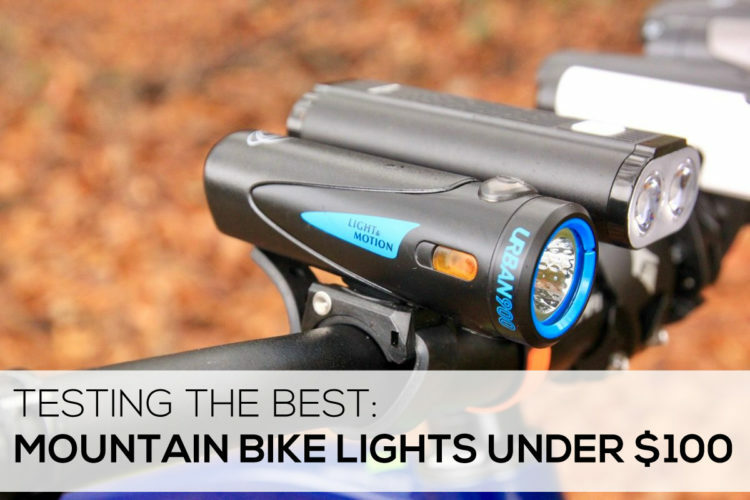 But is running a single helmet light better than running a single bar light for mountain biking at night, and if so, how much better is it? 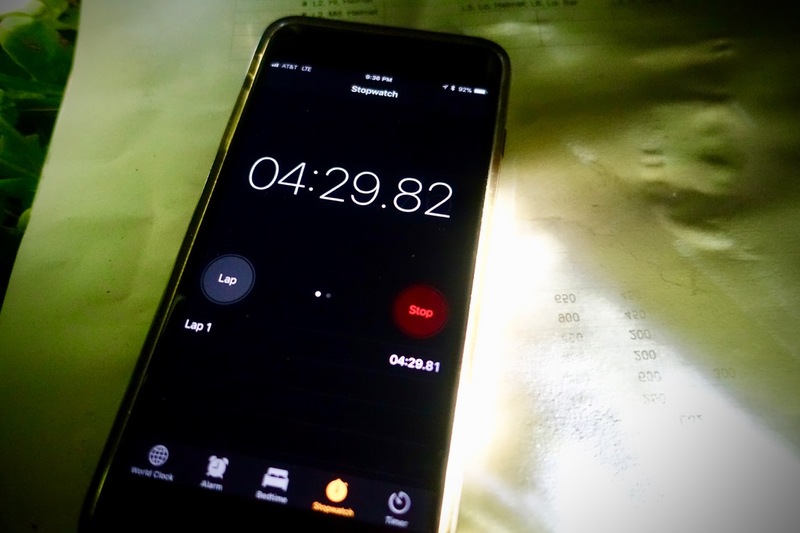 We used the same test course as we did in our lumen vs. speed test, and also randomized the trials to account for any advantage an earlier or later lap might have on the results. 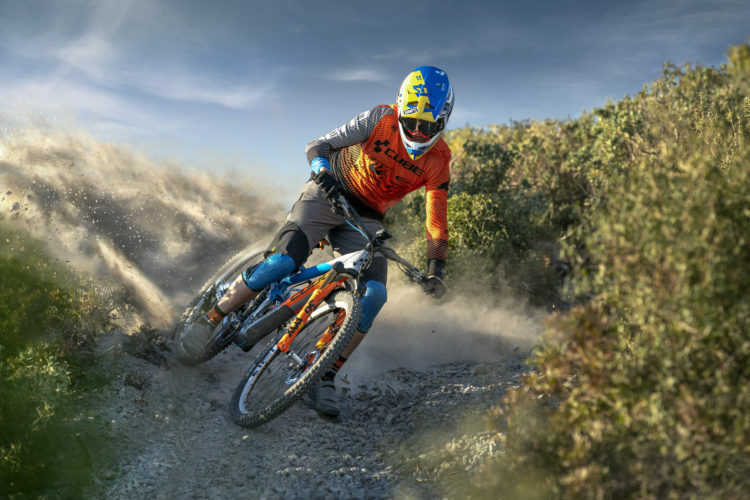 To recap, the course is a singletrack loop with both tight turns and wide-open spaces, plus climbs and descents. There’s also some tech thrown in here and there, though nothing too crazy. The Light & Motion Trail 1000 FC Ranger features a stretchy strap that’s easily to slap on a set of bars or on a helmet mount. 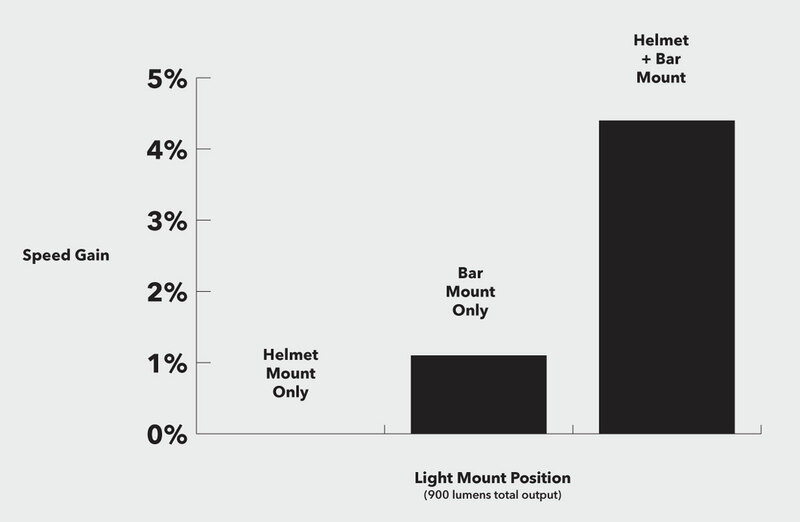 We conducted two tests with a light mounted on the bars, and two tests where the light was mounted to a helmet. In one set of tests, a light was set to 450 lumens, while in the other it was set to 900 lumens to see if this made any difference. We were also curious to know how running two lights, one on the bar and one on the helmet, would affect speed. The same “experts” who recommend running a single light on the helmet instead of the bars often add that an even better choice is to run both a helmet and bar light. In fact, I’ve personally recommend the same thing to others, so I was curious to see if this was actually sound advice. Before we move on, it’s important to note that unless you’re racing, you probably don’t care too much about your speed on the trail at night. 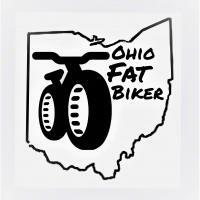 Most of us ride at night for fun, and having fun in this case is more about feeling confident. In effect, we’re using speed as a proxy for confidence. That is, if you’re feeling confident, you will be able to increase your speed at night. And if you’re racing… well, speed is everything! With that in mind, we set up our test not to see how fast our tester could complete a lap by riding at his physical limits. Instead, we instructed Kevin to ride as fast as he was comfortable riding without being unsafe. This way, physical strength and stamina would not be the limiting factors; his ability to see the trail obstacles in front of him would be. As we mentioned in our brightness vs. speed test, it turns out testers were able to complete each subsequent lap faster than the one before it, all else being equal. As the tester became more familiar with the course, he was able to ride faster. This effect seems to outweigh any fatigue the tester might have experienced from test to test. With regard to our first question — whether a bar-mounted light is “better” than a helmet-mounted light — Kevin showed bar mounting is actually probably the better choice. On average, his times for the bar-mount runs were 10 seconds — about 5% — faster than his helmet-mount runs. We saw Paul’s times improve 5% from run to run with no changes to the light, so it’s possible Kevin’s gains were due entirely to the fact that we tested the bar mount configuration after the helmet-mount test. 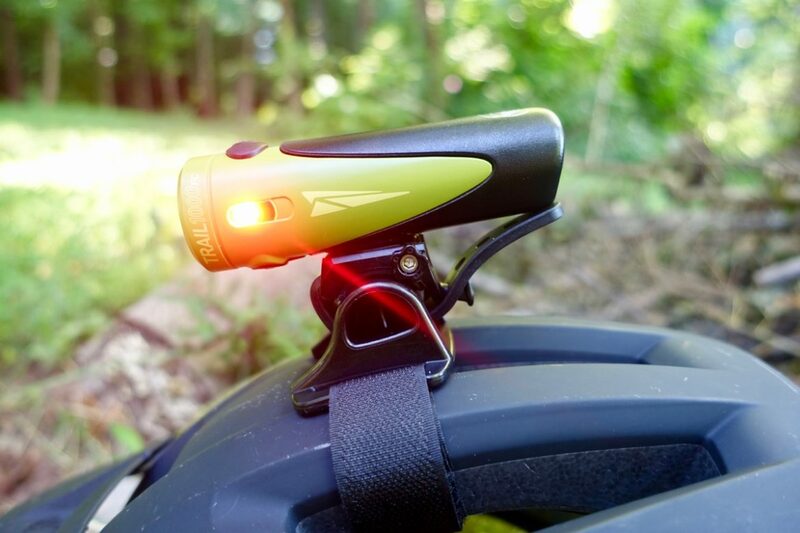 For this reason, we can only say a helmet-mounted light might be as good or maybe even slightly better than a bar-mounted light. 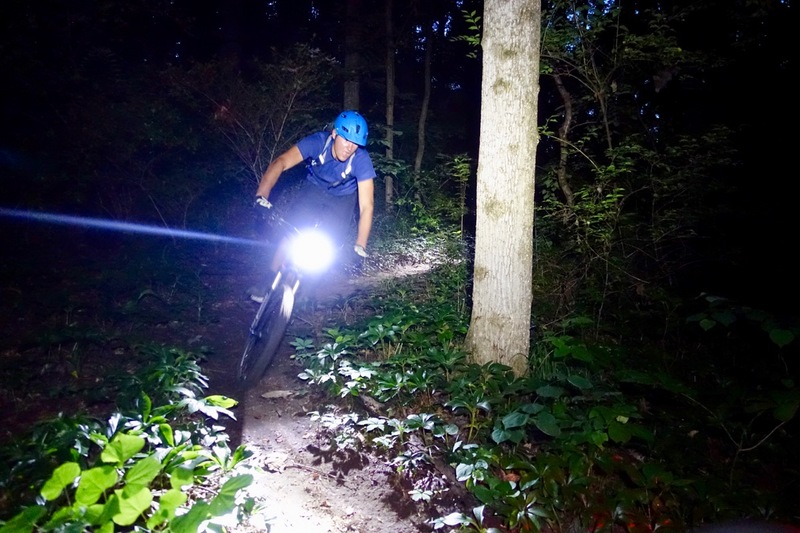 Kevin’s second bar-mounted light test, at 900 lumens, was faster than both helmet-mounted tests. This reinforces the finding that there is no clear advantage to running a helmet light rather than a bar light. But this can’t be! We’re as surprised as you are, having assumed for years there would be a decisive advantage to running a helmet lamp. And this is why we like doing tests like this. However, there is one more thing we learned during this test. Kevin does a good bit of night riding, but it turns out he’s always ridden with just a single bar-mounted light. After riding with a light on his helmet, Kevin reported it made a HUGE difference in his confidence. The interesting thing is his times don’t necessarily reflect that feeling. So even if there isn’t an easily quantifiable difference in the two light mounting positions, it seems there is still a qualitative benefit to running a helmet light. 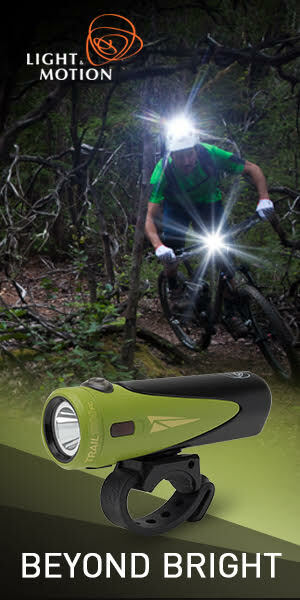 For riding in dusty conditions or even in the snow, a bar-mounted light is often the better choice as well. Consider driving a car in a snowstorm: high beams shine the light closer to eye level and illuminate the particles in the air, making it more difficult to see than with low beams. While conditions were clear during our test, air quality is another thing to consider when deciding which mounting position is better. This turned out to be Kevin’s fastest lap overall, and we weren’t surprised based on our own experiences. 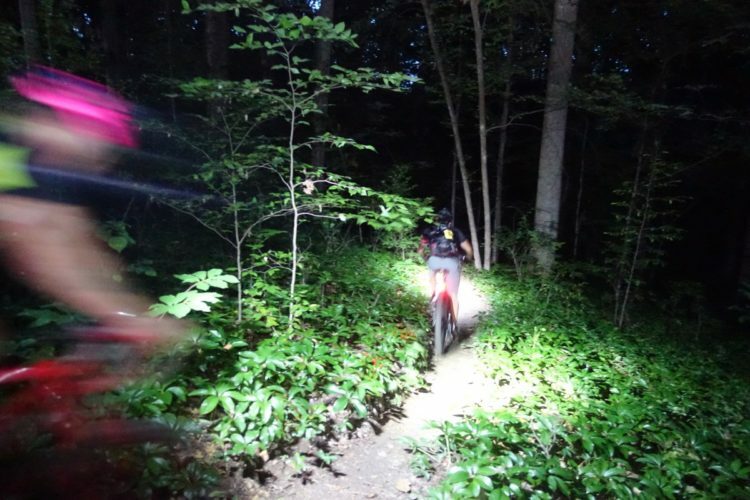 It’s hard to say how much of an advantage running a bar- and helmet-mounted light together confers, but it seems pretty clear that there IS a benefit over just running one or the other. Remember, in this test the bar- and helmet-mounted lights are only running at 450 lumens, compared to single lights running at 900 lumens. This means two lower-powered (and perhaps less expensive) lights could replace or even improve over a single higher-powered light. 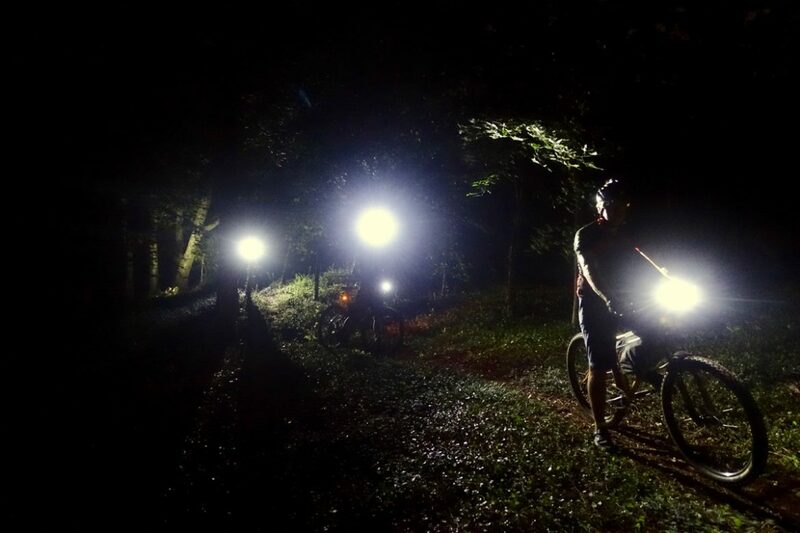 Logically, it makes sense that running a combination of a bar and helmet light allows mountain bikers to ride more confidently at night. Adding another light in a different position helps eliminate the shadows associated with each individual light. 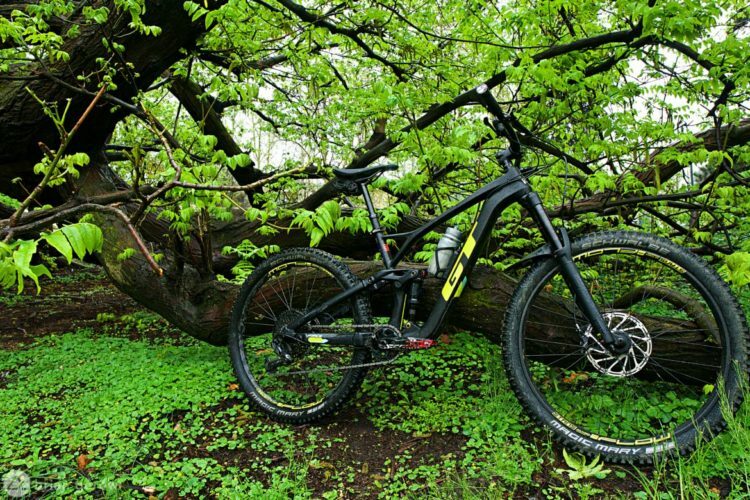 This improves depth perception which, as all mountain bikers know, is important for avoiding crashes. 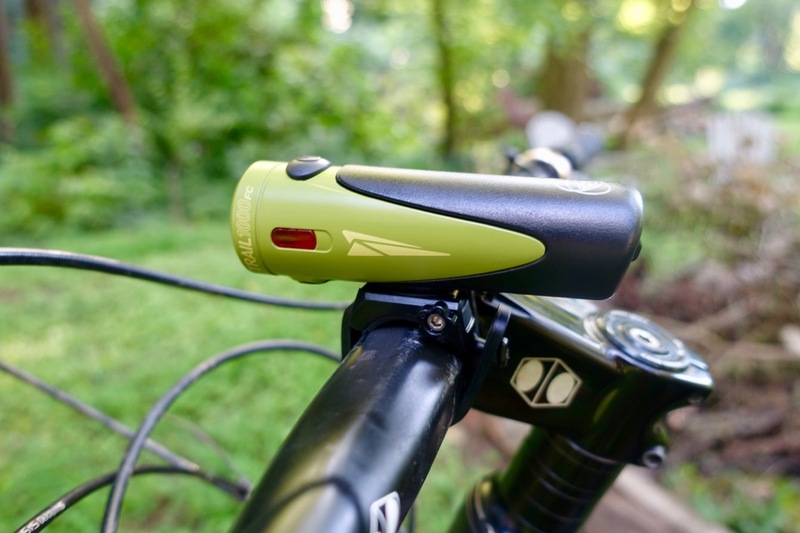 All-in-one bike lights from Light & Motion are affordable enough that riders can buy two: one for the helmet, and one for the bars. Having two lights is also a good idea in case one light runs out of juice. In the end we got a better understanding of how light mounting positions affect speed and confidence on the trail at night, though nothing concrete in terms of quantifiable performance gains. Even if we had found consistent results, there are so many factors involved, from the rider to the trail, that will make a difference. And although a helmet light might not work better in a quantifiable way, it sure seems to feel a lot better, so we’ll probably continue recommending this mounting position to new night riders. Finally, while a bright light is a great thing to have, two half-bright lights are better than one. Your turn: Do you have a preference when it comes to mounting a single light for night riding? Given the choice, would you run a single bright light or two less-bright lights? Though Light & Motion sponsored this test, they didn’t influence the outcome or the results in any way. For me, the shadows thrown by the handlebar beam seem to help with depth perception, when the light is on my helmet that effect is lost. 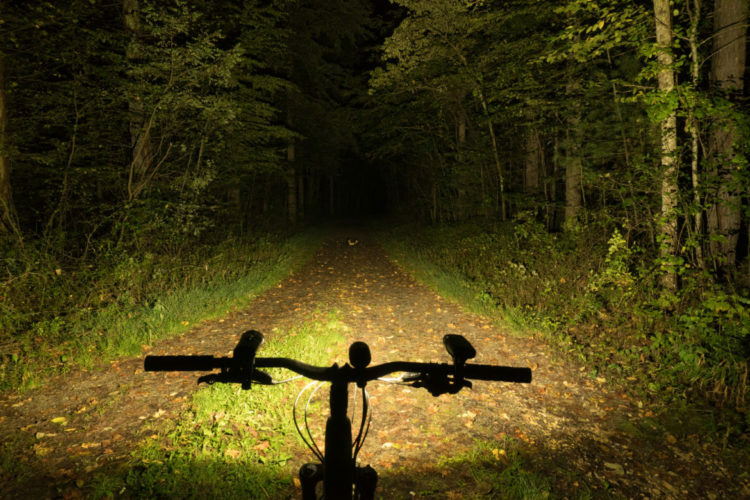 I ride a bright handlebar light and a less bright helmet light.I always have two lights in case one goes out, night riding here gets pretty cold so you would not want to get lost in the woods. 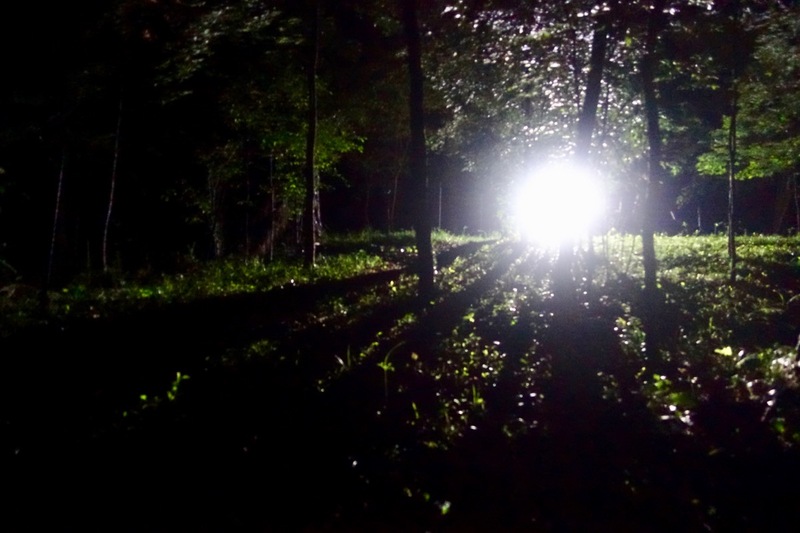 See also: How Many Lumens Do I Need for Mountain Biking at Night?